Separation and divorce require a formal resolution of financial matters between the parties. Find out how we can achieve outcomes without going to Court. We are among the most experienced Family Solicitors in Logan & Brisbane areas and can provide you with the advice and information you need to make informed decisions about property settlements and how to document outcomes with consent orders or financial agreements. We provide straight forward and precise advice in family law property matters. You should bear in mind that because of the very nature of family law (including defacto matters and recognised relationships) each case will be determined on its own facts by the relevant Court under the Family Law Act. The Family Law Act now allows defacto couples to have the same rights as married couples, allowing them to enter into financial agreements prior to entering a defacto relationship, during the relationship and when the relationship ends. Superannuation splitting laws and spouse maintenance rights and responsibilities also apply to defacto couples. WHAT TO DO IN PROPERTY DISPUTES? First of all seek advice and don’t become overwhelmed. Make sure that your actions are reasonable so as not to lead into serious conflict (which might lead to unnecessary Court proceedings). If you are contemplating separation you should seek advice from a competent family law solicitor. If you and your partner are not able to reach an agreement about how to resolve your property issues you should seek legal advice in relation to your particular circumstances. Be wary of advice to commence court proceedings without first considering your other options. Alternative dispute resolution should be the first port of call in most cases, except where family violence and/or abuse of children or urgent steps to protect property would prevent that approach. If you have reached an agreement regarding property issues you should formalise the agreement to ensure that all financial issues are finalised between you in accordance with the provisions of the Family Law Act. This can be achieved by way of Consent Orders or a Financial Agreement. Without a legal end to property issues and spouse maintenance litigation in the Family Court will remain a possibility even if you are divorced. as the preferred methods be undertaken to attempt to resolve the issues in dispute. We can provide mediation and collaborative law services within our firm and represent you in an arbitration procedure. At your first appointment we will provide you with more information about how to resolve those family law matters that . Consent orders are made by the Family Court where both parties agree on how to divide their assets. An application for consent orders is filed together with the proposed terms of settlement (orders) and the documents are considered by a Registrar of the Court in chambers (in their office). If the Registrar is satisfied that the orders are “just and equitable” they are sealed and issued. Financial agreements are not filed in court but are private contracts which may involve agreements which are not necessarily “fair” and would not pass the just & equitable test the Court must apply under the Family Law Act. Both parties must be represented by lawyers and their lawyers must sign a statement of advice, they should also provide a written advice. 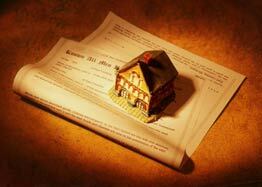 Financial agreements must also comply with various requirements of the Family Law Act. Advice on how to deal with your family law (property and children) issues through the Collaborative Law process. Advice on how to minimise and/or remove the possibility of future litigation by way of Consent Orders or a Financial Agreement. Prenuptial Agreements and cohabitation agreements, and Financial Agreements during a marriage. After all your financial future will depend upon the quality of the professional assistance you obtain. Where property and Custody of Children are in dispute it is imperative that you are properly informed of all of the methods of resolving the issues in dispute. We are committed to obtaining the best possible outcome for you and your family through dispute resolution methods unless Court proceedings are indicated as being necessary by the facts of your particular case.